Happy New year everyone! In this holy-day season of spiritual and religious regeneration I want to share with you my resolution for 2019. Few people realize that the Bible begins and ends with references to Astrology as God's handiwork. In the very first chapter of the Old Testament (Gen.1) is that famous quote wherein God says " Let there be lights...and let them be for signs, and for seasons, and for days, and years". And then in the very last chapter of the New Testament (Rev.22) John speaks of the Tree of Life, "In the midst...was the tree of life, which bore twelve kinds of fruits, and each month it yielded one of its fruits; and the leaves of the tree were for the healing of the peoples (or nations, depending on which bible you reference)". It is the planets and stars of which God speaks in the beginning, and it is the 12 signs of the Zodiac of which John speaks in the end. God said it was "good" and John said it was for "healing". I do not think anyone could say it any better. So I have made my resolution, for the next twelve months I will be offering a free monthly lecture program on Astrology that you might build a better foundation for "good" and push off on the road to "healing" in 2019. The first four lectures of the year will be held at the Silk Road Chai Shop in Mount Shasta, CA. This Friday evening, January 4th, will be the first of a 4-part back-to-basics Astrology course I will be teaching every first Friday of the month at the Silk Road Chai Shop, 105 E. Alma St. in Mount Shasta. Since I will be using the facilities at the Silk Road Chai Shop for the first four lectures of 2019, any donations that may be freely given at these first four events will be donated directly to the Silk Road Chai Shop that they may continue to be a light in our community. If you are among those who have visited BloomingRosePress.com in record-breaking numbers during November to discover and read our most popular articles -- "Getting a Story out of Nowhere," "Paradox," and "The Relationship Between Fiction and Spirituality" -- we invite you to make a purchase from our order page for your holiday lists. Especially for family members and loved ones expanding their spheres of consciousness. All holiday purchases from this website are 20% off retail price. And holiday purchases of volumes of The Third Verse Trilogy will each be signed by the author. You can also have the author include an inscription composed by you for the recipient through the Contact Us page. Be sure to identify your order. We offer wishes for all to have a happy and reflective 2018 Winter Solstice. The personal story of Mt. 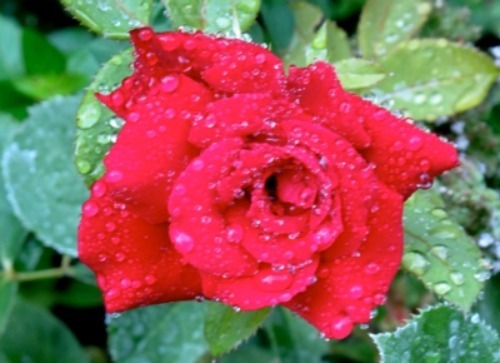 Shasta's spiritual astrologer is now posted. You are invited to embrace the higher levels of understanding how we can relate to our birth chart as the mandala of our life at Astrology as a Spiritual Path. Per capita, there aren't that many of them. In fact, a person could live an amazing life of eight decades or so and never encounter a visionary, much less be one, given the hypnotic spell of mundaneness in this realm. When the veil is ripped, however, and the heart of truth appears, there's nothing that can touch peak experience nor ever eradicate it from memory. That's why I choose to spotlight two beings who have stories to tell. One is returning to bring to us the mystic wisdom from his lineage -- Lama Lodru Rinpoche, details on our Events page -- and another whose background also commands attention. Return soon, for in the next few days a new page will appear at this site featuring a personal revelation of how the veil can be ripped, and the result. Watch for the next announcement posted here soon. The topics for Lama Lodru Rinpoche's teaching weekend have been announced. Please go to Events page for these details. We are joyous to announce that Venerable Lama Lodru Rinpoche will offer teachings here in Mt. Shasta Saturday, October 27 and Sunday, October 28. The topic will soon be announced. The location for teachings will be at the same venue as last year, at a private residence, 1520 Shasta Acres Rd., Mt. Shasta, CA. We are co-hosting Rinpoche with the Mount Shasta Friends of Tibetan Culture. As details for this event are known, updates will appear at our Events page. Anyone in our region who would like to volunteer help may contact us through this website. Thank you! Our summer updates have now been posted. There will be a blessed event happening soon -- Friday, July 27 through Sunday, July 29 -- when Mount Shasta Friends of Tibetan Culture will host the return visit of The Nechung Chogtrul Rinpoche and the Nechung Monks. Also, Venerable Lama Lodru Rinpoche returns to give teachings in Mt. Shasta Saturday, October 27 and Sunday, October 28. For details, please go to our Events page. In addition, our Friends page has been brought up to date, and soon will be expanded. The information about the campaign of Lewis Elbinger for the Congressional seat in California District 1 that you see below remains here for reference. Lewis is now preparing for a full-blown campaign to run in 2020. See more at our Friends page. April 29, 2018 update: Due to personal volunteer work with Lewis Elbinger's campaign, I have not offered Blooming Rose Press site updates during this period. I highly recommend for visitors to view or return to the campaign website through the link given in the February 27 post above. The site has been greatly expanded since that time. Many facets of what Lewis offers to us that makes the June 5 primary election a historic possibility can be viewed there. Great goodness and hope to all. Are you a wisdom seeker who would like to expand into a meditation tradition? Or a practitioner open to investigating possibilities? Here is our newest posting at Insight Commentaries, featuring two renowned meditation teachers, Joseph Goldstein and Dzogchen Ponlop. We honor our mystical and magical mountain with a new photograph submitted by friend Lisa Whitmer, taken after new snowfall, lit by alpenglow. View at the top of our Home Page, or at the Gallery. Touching our hearts ... A friend of a friend has written about her experience as a volunteer with Friends of Orange County Detainees. With her permission, we are sharing the writing with you at Insight Commentaries. Evolutionary Opportunities! Two Dharma teaching events will take place in Ashland, Oregon during December. Descriptions appear at our Events page. Blooming Rose Press has become HTTPS compliant as of November 3, 2017 as shown by the green padlock at top left of every page. We thank SoloSell.com for enabling this protection. December 22, 2015: Our holiday gift to you is a precious photograph. 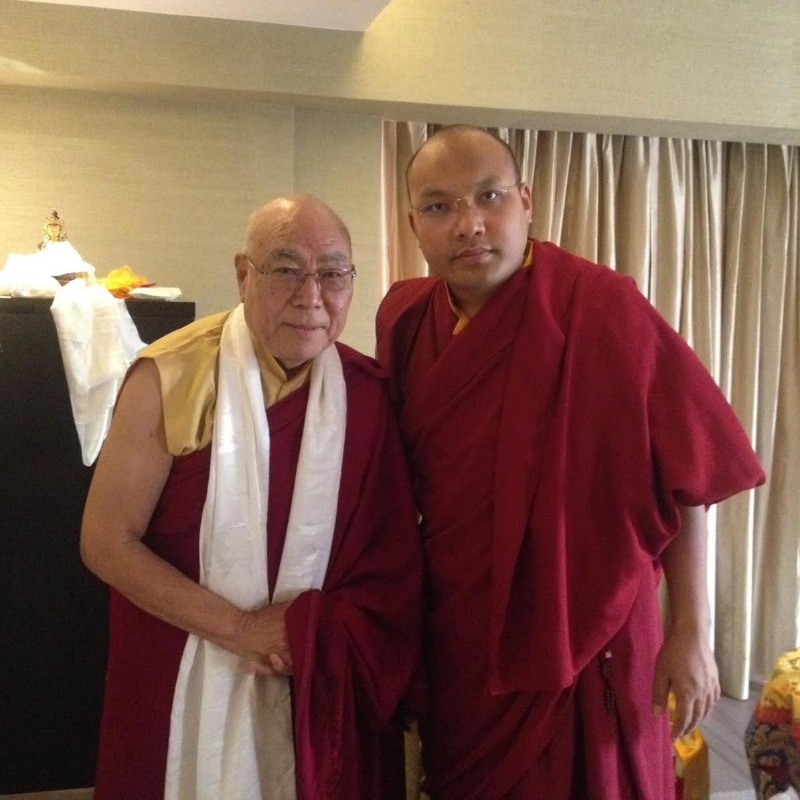 The Kagyu center in San Francisco has sent this picture recently taken in Delhi of (left) Lama Lodu Rinpoche and (right) His Holiness the 17th Gyalwa Karmapa. A visual blessing for all. Information about Venerable Lama Lodu Rinpoche appears at our Events page.